Bump stocks gone! May they never return! The Donald Trump administration has banned bump stocks. 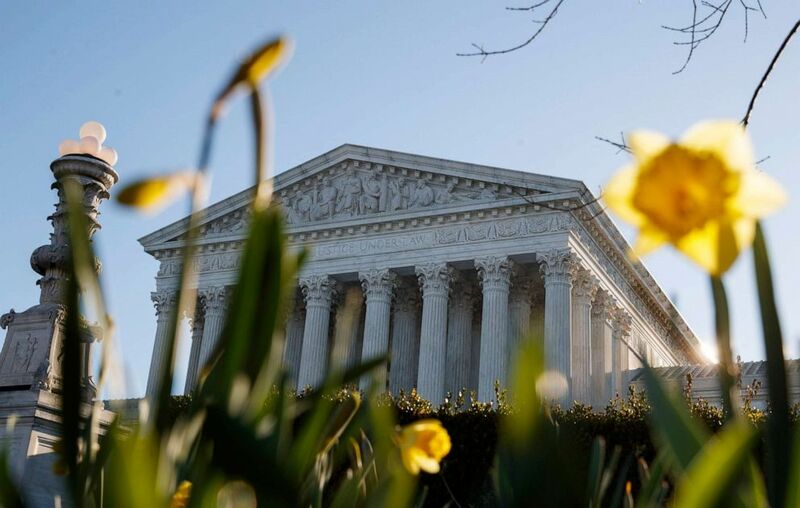 The U.S. Supreme Court has declined to hear an appeal of the administration’s decision. On that small but important score, we’ve made our society a little safer from extreme gun violence. 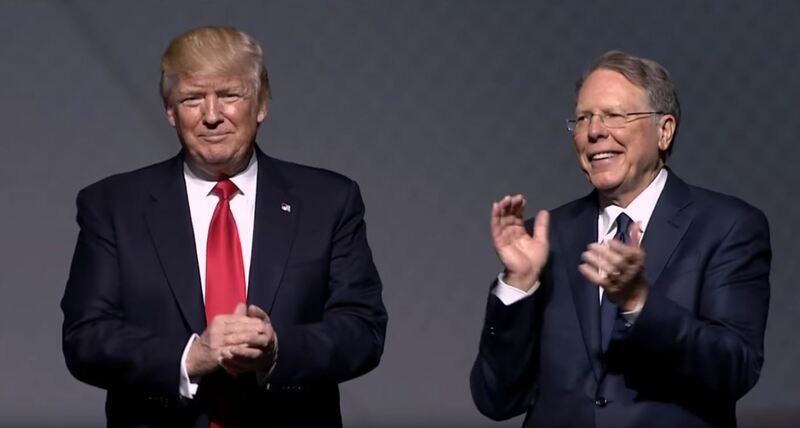 Bump stocks were thrust into our national conscience when a gunman opened fire in Las Vegas, Nev., killing 59 country music festival attendees. The moron used a weapon that had been turned into a fully automatic machine gun with a bump stock, a device one can attach to these weapons. There can be only one reason to attack a bump stock on a weapon such as the one used by lunatic who opened fire in Las Vegas: it is to turn that weapon into a killing machine. The Supreme Court had received an appeal from gun-owner rights groups that wanted the court to overturn the ban that took effect this week. The court said “no” to their appeal. This is a good thing for Americans who are concerned about the spasm of gun violence that has become all too commonplace in our society. Does this ban prohibit hunters, target shooters or those who just collect firearms from pursuing their right to “keep and bear arms” in accordance with the Second Amendment to the U.S. Constitution? Instead, it allows law enforcement authorities and the courts to sentence individuals to prison terms of as long as 10 years while paying fines of as much as $100,000. No one’s rights are compromised. It goes to show you that, yes, we can impose reasonable restrictions on these weapons without endangering the Second Amendment. National sovereignty is a wonderful thing. It gives nations the ability to enact laws on their own without regard to how other nations handle crises. Such is the case in New Zealand, where Prime Minister Jacinda Ardern has just announced a nationwide ban on all assault weapons and a stiffening of penalties for those who break the law regarding firearms possession. The country’s parliament needs to sign off. Can you hear the grumbling now from here? From the United States of America? Where this kind of swift governmental action regarding firearms is unthinkable? 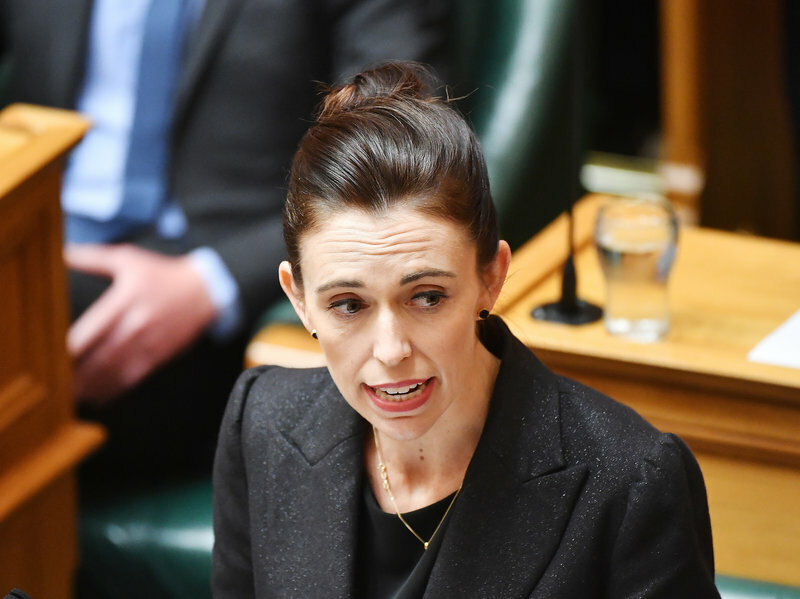 Ardern’s action is in response to the massacre of 50 people who were gunned down in two Christchurch mosques. A suspect is in custody; he purports to be a white nationalist who detests immigrants. How does this apply to the discussion of gun violence in this country? Well, we have this Constitution here that guarantees in its Second Amendment the right of citizens to “keep and bear arms.” Our system of government precludes the kind of ultra-rapid response that Prime Minister Ardern has demonstrated. For the record — once again! — I want to stipulate that I do not want the Second Amendment repealed in this country. I favor it in principle. I believe in the concept of firearm ownership. I have a couple of weapons myself. That all said, I also believe there are ways to legislate improvements to the Second Amendment that protect the rights of citizens to own guns while increasing the standards for those who want to purchase them. In other words, I favor universal background checks. I also believe we need to regulate gun shows to ensure that firearms purchased at these events are channeled into the hands of those who deserve to own them. Our Constitution and our form of government are vastly different from much — if not most — of the rest of the world. Thus, I have no intention of seeking to foist a New Zealand-style response to this tragedy on the United States. We just need in this country to seek some common ground on this most knotty issue of gun ownership, gun violence and the carnage that keeps erupting. The slaughter of those worshipers in New Zealand has gotten the world’s attention. It also grabbed that country’s leaders by the throat and created a climate that seeks an immediate remedy. If only we could get that kind of swift action in the United States of America. When the shooter blasted his way through Marjory Stoneman Douglas High School in Parkland, Fla., on Valentine’s Day, the debate over gun control erupted. When another shooter massacred those worshipers at Tree of Life synagogue just the other day, the gun control debate has barely scored a blip. What’s up here? Don’t tell me the issue is dead and buried. It’s not. The Tree of Life loon opened fire with an AR-15 semi-auto rifle, killing 11 Jewish congregants in what’s being called a hate crime. It is similar to an M-16 military rifle, with this exception: The M-16 has a switch that can make it a fully automatic machine gun; the AR-15 doesn’t have it. 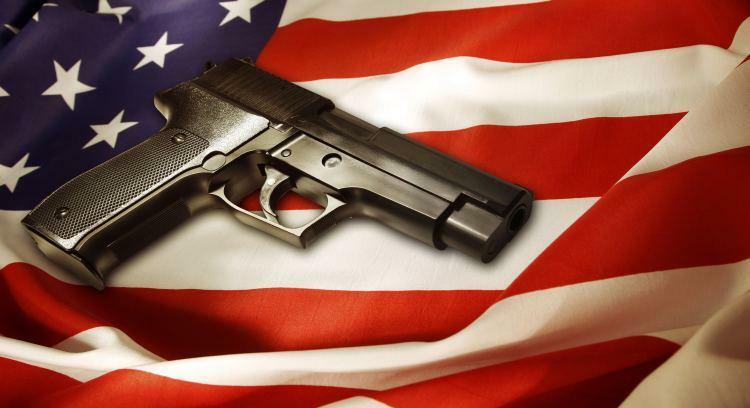 I happen to believe in the Second Amendment, the one that says a citizen’s right to “keep and bear Arms shall not be infringed.” That all said and understood, I do not believe that the right to keep and bear arms precludes reasonable gun control legislation that keeps faith with the Second Amendment. I few gun control legislation and gun owners’ rights the same way I view the biblical theory of creation and the theory of evolution. Neither the biblical version of Earth’s creation or Charles Darwin’s evolutionary notion are mutually exclusive … if you conclude — as I do — that Earth wasn’t created in six calendar days. The Second Amendment has wiggle room within it, I believe, to allow for legislation that makes it more difficult for criminals or those with emotional or mental issues to acquire a firearm. Those so-called impediments to “law-abiding citizens'” rights need not apply if the legislation is applied and enforced strictly. Yet the gun-owners-rights lobby argues that the Second Amendment, as it was written in the late 18th century, is sacrosanct. It is virtually the holy word, much like the Bible. Don’t mess with it in any fashion, they say. I will argue that if there is a sacrosanct amendment to the U.S. Constitution, it isn’t the Second … it’s the First Amendment. Religious freedom, the right to express one’s views and a free press must not be trifled with. 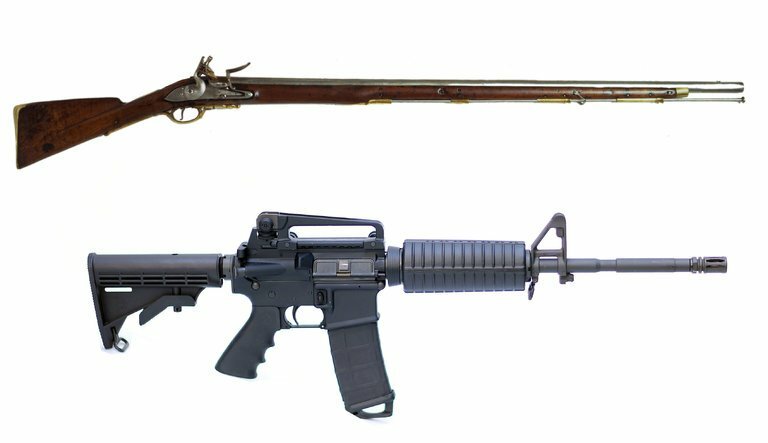 The Second Amendment doesn’t take into account the evolution of weaponry since the time that the founders wrote it. I am never going to call for the abolition of the Second Amendment, I continue to believe it can be amended, improved and made more reasonable — while keeping faith with its pledge to permit firearm ownership to U.S. citizens. Texas Lt. Gov. Dan Patrick’s juxtaposition of “teachers” with “militia” got me thinking a bit today. A military force that is raised from the civil population to supplement a regular army in an emergency; a military force that engages in rebel or terrorist activities, typically in opposition to a regular army; all able-bodied civilians eligible by law for military service. Actually, the way I read the definition that I found, they are nothing of the kind. They aren’t military, or paramilitary. Patrick’s statement was in response to questions about the Santa Fe High School massacre that killed 10 people — eight of whom were students. Patrick wants school teachers to be armed. That is a wrong-headed answer to the scourge of gun violence in our public schools. The U.S. Constitution’s Second Amendment speaks of a “well-regulated militia.” I cannot find — no matter how hard I look — any link whatsoever between the founders’ intent in crafting that clause to the idea that militia includes public school teachers. Teachers are hired to educate. They aren’t hired to take up arms, even in an emergency. 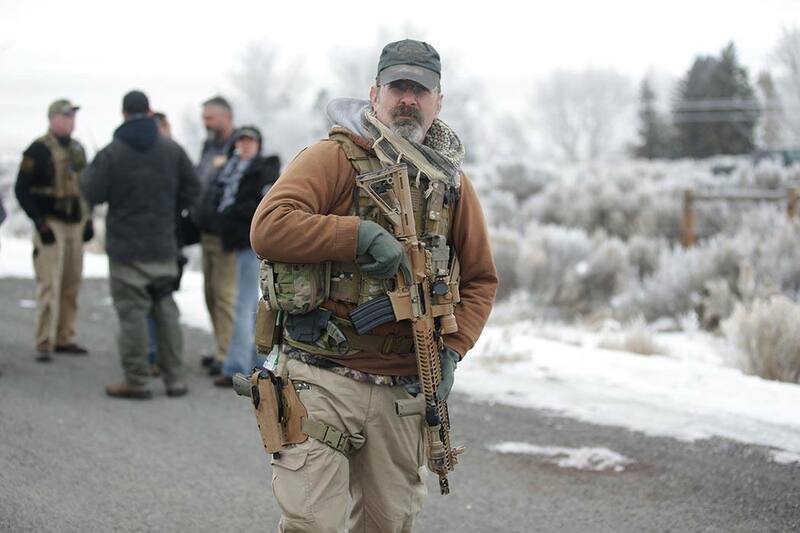 We “regulate” militias because we ask our military reservists, for example, to perform functions for which they are trained. Do we train teachers to set up perimeters around our schools and then stand guard with loaded weapons? No. Teachers enter their profession exclusively to be positive influences on our children, to educate and occasionally nurture them. So, let’s stop this loose talk about arming teachers. And for crying out loud, let’s also implore at least one high-profile Texas politician — Lt. Gov. Patrick — to stop equating teachers with militia. Texas Lt. Gov. 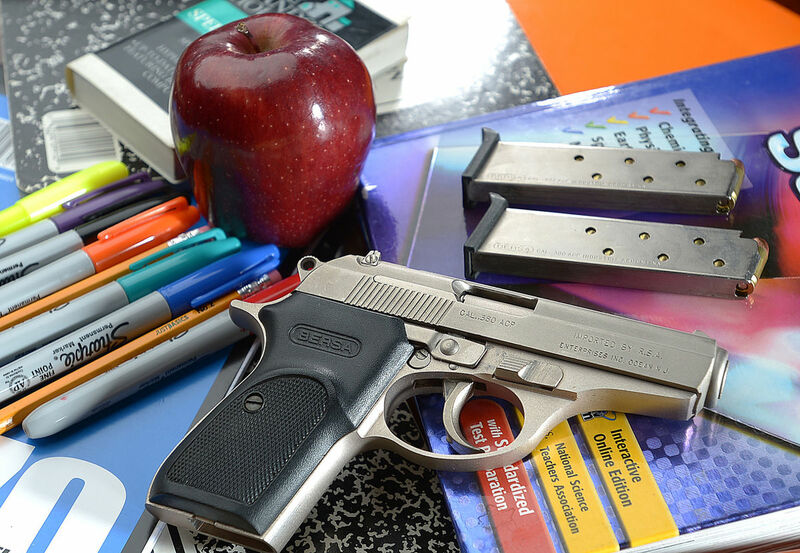 Dan Patrick wants to put guns in our teachers’ hands. He thinks a well-armed teacher could have stopped the shooter from slaughtering those 10 victims in Santa Fe, Texas, the other day. Sure thing, Mr. Patrick. Or … a heat-packing educator could have missed the shooter and wounded — or killed! — other students or fellow educators. Patrick told ABC News’s “This Week” that teachers “are part of that well-run militia” spelled out in the U.S. Constitution’s Second Amendment. In truth, the amendment refers to a “well-regulated militia.” My own view is that teachers are tasked exclusively to educate children; they are not asked to provide armed response to violence in the classroom or in the halls, or the cafeteria or the gymnasium or the school yard. This notion of arming teachers keeps getting revived every time a gunman opens fire in our public schools. There has been so much of it these days we have become numb — or so it seems — to the news that keeps erupting. Yes, this is a societal issue that needs careful examination. However, none of that will be solved merely by putting more guns into our public schools. How do more guns make us safer? I have been thinking for the past few days about my friend Martin, a journalist in Germany. He’s a family man with three young children. Martin and I have had some stimulating talks over the years about U.S. politics and government. He knows this country far better than I know his native Germany. I mention Martin today as the National Rifle Association is having its annual meeting in Dallas, which when you think about it is the perfect venue for the NRA, given that most Texans are flat-out, all-in supportive of the NRA’s political agenda. Martin cannot grasp the notion that the NRA keeps pitching, which is — essentially — that more guns make us safer. He and I have talked about the U.S. Constitution and the Second Amendment. I have sought to explain the difficulty in amending an amendment in this country. Germany has much stricter rules on gun ownership than we do. Martin buys into the German government’s view that the best way to prevent gun violence is to take guns away. It’s a simple proposition, as he sees it … although do not refer to my friend as “simplistic.” He is serious, intelligent and well-educated, as is his wife. Although my friend and I disagree on the value on the Second Amendment to our national fabric — he thinks we ought to repeal it, while I do not — I do support his notion that more guns do not make us safer. 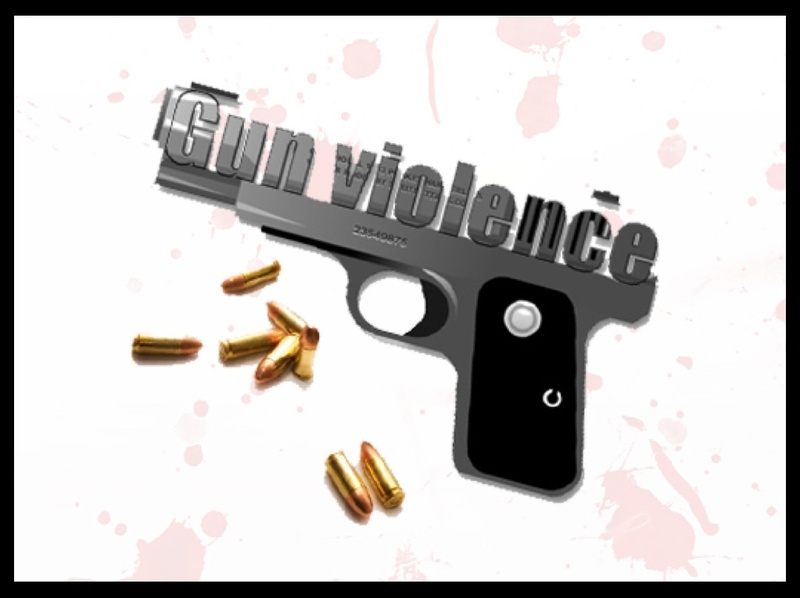 More guns only exacerbate the crisis that has produced this plague of gun violence. Earth to The Donald: Democrats have controlled Congress and the presidency before. The guns haven’t gone anywhere. Why not just ‘mend’ the 2nd Amendment? President Gerald R. Ford thought he was appointing a conservative jurist to the U.S. Supreme Court in 1975 when nominated John Paul Stevens. Wrong, Mr. President. The justice turned out to be a liberal icon on the court. The retired justice has ignited a wildfire. He writes in a New York Times essay that it’s time to — gulp! — repeal the Second Amendment. Justice Stevens is 97 years of age but he still has a razor-sharp mind. He’s a learned and brilliant man. Stevens writes, in part: Concern that a national standing army might pose a threat to the security of the separate states led to the adoption of that amendment, which provides that “a well regulated militia, being necessary to the security of a free state, the right of the people to keep and bear arms, shall not be infringed.” Today that concern is a relic of the 18th century. I don’t intend to suggest I can match Justice Stevens’s intellectual wattage. I just want to offer the view that the Second Amendment contains no language that I can identify that says it must remain sacrosanct. With the March For Our Lives emboldening literally millions of young Americans to seek legislative remedies to the spasm of gun violence, I am going to cling tightly to the view that those remedies exist somewhere in the legislative sausage grinder. And those remedies can be enacted without repealing the Second Amendment. I know what the amendment says and nowhere does it ban any reasonable controls on the purchase, sale or the possession of firearms. Gun-rights proponents keep insisting that any legislation that seeks to impose tighter controls on gun purchases launches us down some mysterious “slippery slope.” They fill Americans with the fear that the government is coming for their guns; they’ll be disarmed and made vulnerable to governmental overreach. That is the worst form of demagoguery imaginable. The U.S. Justice Department has acted — finally! — on a measure that well could start us down a more rational, sane world regarding firearm regulation. DOJ announced it is going to implement a ban on bump stocks, those devices that turn semi-automatic firearms into fully automatic killing machines. While the nation has been fixated since Valentine’s Day on the Parkland, Fla., high school massacre, let us remember an earlier slaughter. A lunatic opened fire in Las Vegas with a semi-auto rifle he had converted into a machine gun, killing 59 people attending a music festival at Mandalay Bay Hotel and Casino. He eventually killed himself. The debate over bump stocks was joined immediately. Is this measure going to strip legitimate firearm owners of their right to “keep and bear arms”? Not in the least. It is going to potentially deter future madmen from doing what the Las Vegas shooter did, which is turn a semi-automatic rifle into a virtual weapon of war. 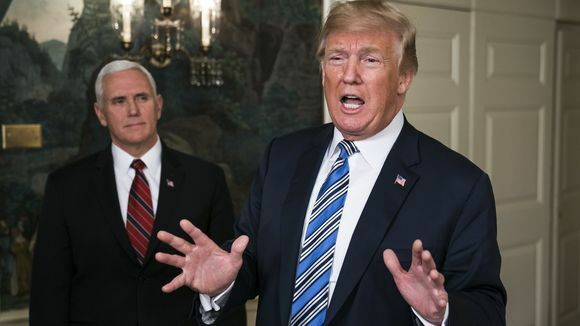 In announcing the Justice Department directive, though, we had to leave it to Donald Trump to lay blame on his made-up nemesis, Barack Obama, for “approving” bump stocks. Trump’s tweet is sort of correct, at a certain level. The decision to allow bump stocks was done at an administrative mid-level at the Bureau of Alcohol, Tobacco and Firearms. The president or the attorney general, Eric Holder, had no direct input on the deliberations being undertaken. Leave it to Obama’s successor, though, to forgo a forward-looking statement and to assess blame on someone else on a problem that needed to be fixed. So, the Justice Department has acted. It will ban bump stocks. It will seek to prevent gun owners from creating machine guns. This is by no stretch of anyone’s imagination a decision that launches us down any sort of slippery slope. It makes sense. A lot of Texas Panhandle students, teachers, parents and just plain folks — and that includes yours truly — are hoping for a big weekend. They’re going to gather around noon Saturday at Ellwood Park in downtown Amarillo. They’ll troop a few blocks east and a bit north to the Potter County Courthouse, where some of them are going to speak to what I hope is a large crowd of marchers and supporters. It will be part of a national movement called “March For Our Lives.” Students all over America are organizing this event in their respective communities. Amarillo has joined them. Caprock High School students are taking the lead in organizing the local event. Why is this potentially a big day? It could signal a serious turn in community attitudes about gun violence. The “March” has been spurred by the Valentine’s Day slaughter in Parkland, Fla., of 17 Marjory Stoneman Douglas High School students and staff members. The gunman is a former student who got expelled for bad behavior. Police arrested him and the local district attorney has charged him with 17 counts of murder. Prosecutors are seeking the death penalty — even if the shooter pleads guilty in an effort to avoid a death sentence. The Texas Panhandle isn’t known as a hotbed of progressive political thought. The majority of residents here make different political decisions; they support candidates who adhere to a more conservative view. The “March” on Saturday well might produce a counter-demonstration or two. The marchers are going to lift their voices to seek legislative remedies in the Texas Legislature and in Congress that they hope could restrict the purchase of firearms. I think it’s important to note that, as one of the Caprock HS student organizers said, this march isn’t intended to be an “anti-gun” protest. I am not hearing any organizers calling for repealing or a serious watering down of the U.S. Constitution’s Second Amendment. I am sure that pro-gun rights activists certainly see any change in gun laws as an erosion of Second Amendment rights. The “March” is sure to embolden young people here and across this vast nation with a sense that their voices are being heard on an issue in which they have a direct stake. Indeed, they see themselves and their school-age brethren as being thrust in harm’s way. They need to be heard. Let’s hope the rest of us hear them when they march through downtown Amarillo and plead for an end to the national scourge of gun violence.